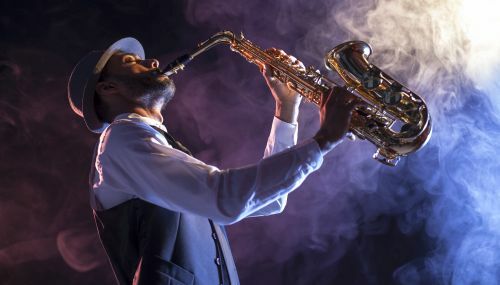 The Cincinnati Contemporary Jazz Orchestra's big band tribute to trumpeter Dizzy Gillespie bops the Spring Season at the Sorg Opera House, Saturday night - date night - April 7th, 8:00 p.m. Reserved seats only $20.00 in advance. Dizzy Gillespie ". . .formed his own orchestra . . . considered to be one of the finest large jazz ensembles. Noted for complex arrangements and instrumental virtuosity, its repertoire was divided between the bop approach—from such arrangers as Tadd Dameron,John Lewis, George Russell, and Gillespie himself—and Afro-Cuban jazz ." The Cincinnati Contempory Jazz Orchestra is a 17 member ensemble, composed of members who both perform and teach jazz. Composed of some of the most preeminent Jazz artists in the US, the Cincinnati Contemporary Jazz Orchesra takes inspiration from the works of the masters of Jazz, including Duke Ellington, Miles Davis, Bill Evans, and many others.